The notion of human rights—as perceived today—may be a modern one, but civilizations throughout history struggled to define the mechanisms that will govern their relations. In the process they defined their roles, aims, responsibilities, and rights. A closer look at the actual texts—that chronicle this journey to defining the value and worth of the human being as an individual and as a collective—reveals that we do not have a universal consensus on the subject matter. While the Western world prides itself since the Renaissance on championing human rights causes, Eastern civilizations seem to shy away from pushing the concept of individual rights to the forefront. For them, personal responsibility (duties) must have precedent over individual rights. Notwithstanding this tempting generalization that sets the West and East apart, this selection of readings and commentaries are intended to contribute to the discussion on the history and evolution of this emerging discipline. 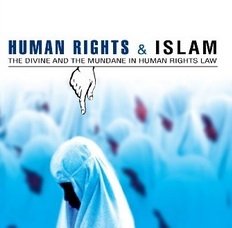 This document is not intended to analyze legal cases; rather, to unearth some historical documents, and recent commentaries on the principles of human rights taken within the context of Islamic legal and religious traditions as well as within the Western moral philosophy that shaped modern day formulation of the human rights discourse. The first part of this collection will exclusively treat the Qur’anic text. I have attempted to collect most—if not all—of the references to issues deemed within the scope of human rights laws nowadays. The references are grouped under a number of topics, thus the reader may find the same verse repeated under more than one header. This approach was necessary in order to present a balanced account of the Qur’anic treatment of the various subjects. I have not included any commentaries, opinions, or explanations of the quoted verses. In a second section, readers will find a selective non-exhaustive collection of the so-called Prophetic Traditions. Again, the materials presented therein are categorized under broader topics, in addition to the collector-based subdivisions. The body of Hadíth in the eminent six books is, to certain extent, a rendition of the same content/tradition in slightly varying chain of narrators or content in worst-case scenario. For this reason, I opted to be very selective in my collection in order to avoid undue redundancy. Only representative and authoritative traditions were considered. Again, this section consists exclusively of translated Prophetic Traditions with no explanations. Readers are encouraged to study the varying tone and attitudes of the two discourses—the Qur’an and the Hadíth—and draw their own conclusions as to the history and authorship of these materials. A third section is a direct translation of a classical document that is understood to be aimed at the subject of “rights”. In my view, this is an important document for it represents a traditional understanding of the notions of “rights” promoted in the main sources of conventional Islamic law, namely the Qur’an and the Hadíth. The document serves as an anchor for most of the later interpretations provided not only by Shi`ite scholarship, but also by mainstream Sunni thinkers. The chapter before the last is a modern proclamation of the old principles of human rights as expressed in the classical documents. It is at best, a reaction to the modern criticisms of perceived anti-human rights views on the part of Islam, and a restatement of old values. The Shi’ite works on the subject are of particular significance and that is why a considerable space in this work was reserved to opinions of scholars from that school of thought. That is not to suggest that Sunni contributions are non-existent; rather, because modern Sunni world did not have to provide an official stand on these issues since their system of government did more or less adhere to Western standards on formulating the “on-paper” policies dealing with the questions of human rights. It is only after the 1979 revolution and the establishment of the Islamic Republic in Iran that classical Islamic law doctrines came to the forefront. It is against this background that I have selected the concluding documents. Notwithstanding this reality, I do believe that the inclusion of the document produced by al-Mawdú`í will provide a glimpse of the similar opinions of the Sunni scholarship, which will make it clear that the differences are minimal. This collection, I believe, is organized in a way that will enable the reader to study some of the human rights issues in the historical context. The reader shall be able to see the presence—or the lack thereof—of legal and religious imperatives that protect basic human rights. By the end of this document, the diligent reader shall be able to understand the historical background and the religious framework that defines the Islamic discourse on the issue of human rights law and its peculiar commitment to upholding international declarations and norms. I have decided to limit my comments and analysis to the opening of each chapter, and make this a forum for those who subscribe to these views speak for themselves. I trust that the readers will live through the cultural specifications of this characteristic formulation of rights. What struck me as worth pondering on is what I would call the “Inverted Concept of Rights.” This will be especially evident in Zin al-Abidin’s Treatise on Rights. The later commentaries have a different tone, but the principles are the same although many modern Islamic scholars have failed to articulate the religious and historical contexts. This problem will be solved by this collection, tentative that may be, but in the words of the various generations and authors nonetheless. Copyright © HUQUQ.com. All rights reserved.. Simple theme. Powered by Blogger.